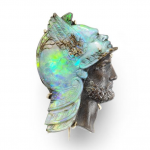 The opal is a wondrous gemstone that comes in varying coloration ranging from a pale white to a full rainbow full of vivid colors. 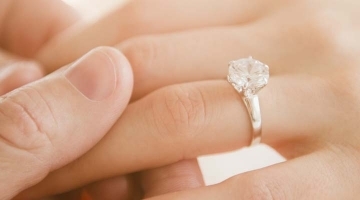 Depending on the type of stone color you choose, you can pair it in jewelry with different types of metals. 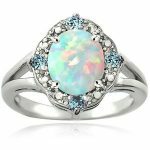 Opal is a great centerpiece for all types of rings, necklaces, earrings and bracelets. 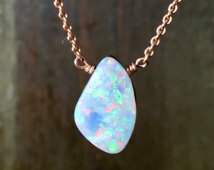 The opal can also come in different shapes and sizes. 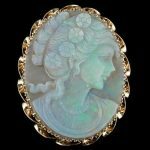 It is a natural stone that can be carved for a unique look and can vary from a rough look to ovals, cushion, round and even be designed for ornaments. 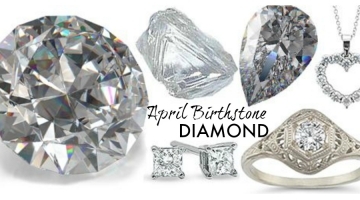 It can also fluctuate between a perfectly symmetrical piece, or mix it up with an asymmetrical whimsical style for pendants on all kinds of jewelry pieces. 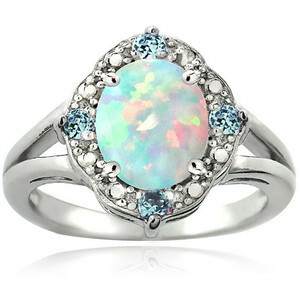 Along with being one of October’s famous birthstone, opal is often purchased due to its pure beauty. 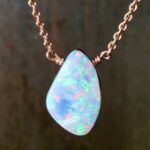 Made up of primarily silica and water, some opal gems are known for their ability to refract light, causing a spectrum of color to be lit throughout the stone, creating an iridescent look. Scientists have looked deep into the reasoning behind this, and found that there are many bubbles of suspended silicone and oxygen that are trapped within the stone, allowing for the light to bounce around inside. Other types of opal are known for their opaque look, and are common in vintage carved brooches. 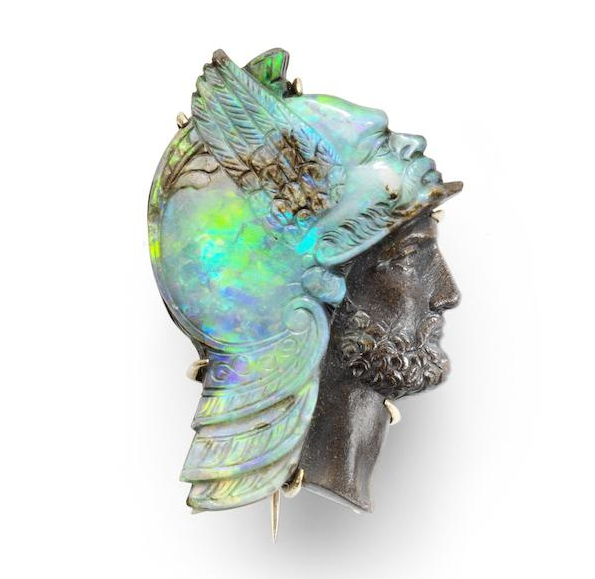 A majority of the world’s supply of opal comes from Australia, and has a mythological history in Australian Aboriginal legend, stating that the Creator came down from the heavens on a rainbow and delivered a message of peace for all mankind. 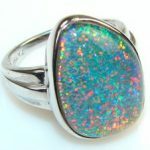 Many believe that opal has healing power, and can be used to solve depression and also assist in the finding of real love. 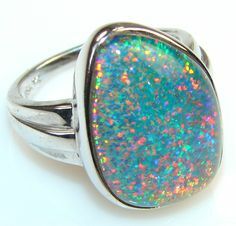 Opal is also an absorbent stone, and leads many to believe it has the power to absorb energy and emotions from others.